Possibly the smallestest ATtiny85 based ‘duino derivative. 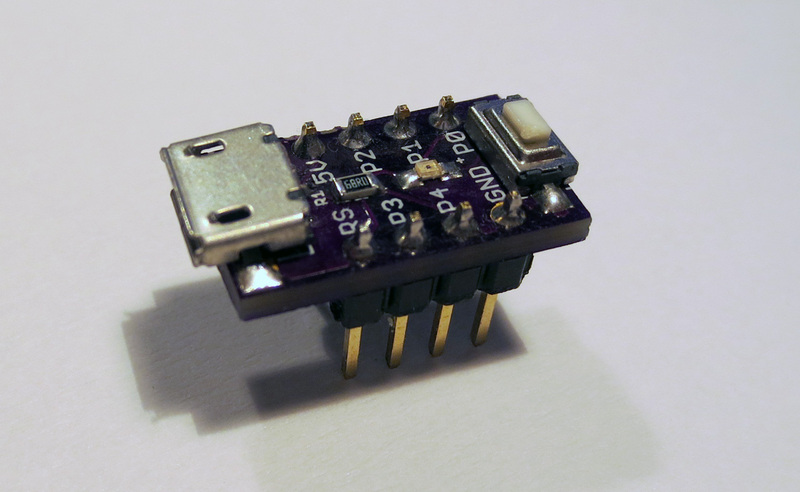 Recently, Olimex anncounced the Olimexino 85s, claimed to be the “World’s smallest Arduino ever“. Now, that looks like a challenge. I guess it is about time to show off what has been on my desk since some time last year: The Nanite, pictured below.